Philadelphia—or the City of Brotherly Love— has many attractions to keep visitors of all ages on their feet. Whether you are in town for a weekend, a week or if you call Philadelphia home, this city has plenty of activity to keep you from boredom. 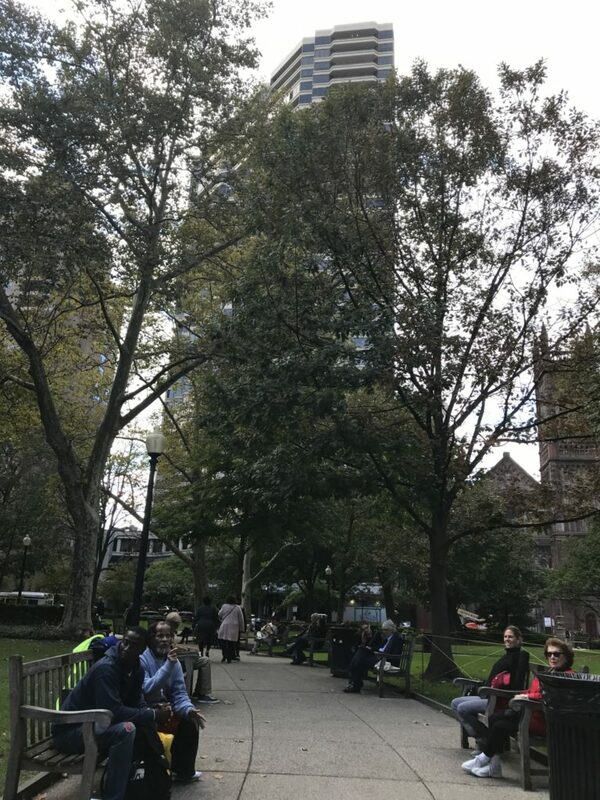 Between historical sites such as the Liberty Bell in Old City, famous cheesesteak spots such as Pats and Genos, and greenery such as Rittenhouse Square, the options are endless. Check out these 24 things to do over 24 hours in Philadelphia. Early Birds never get enough of nature and watching the sun gracefully rise during the wee hours of the morning in Fairmount Park.With a gorgeous view of Philadelphia’s iconic skyline, the park’s view makes it the perfect place to get fresh air and prepare for the day ahead. Residents and tourists alike visit this park to unwind and relax. The park’s trails make outdoor activities such hiking, walking, horseback riding and bicycling an accessible and fun way to spend your time. You might find yourself tempted to return to the park later for other events like outdoor concerts or Japanese tea ceremonies. Fairmount park has something for everyone to enjoy. 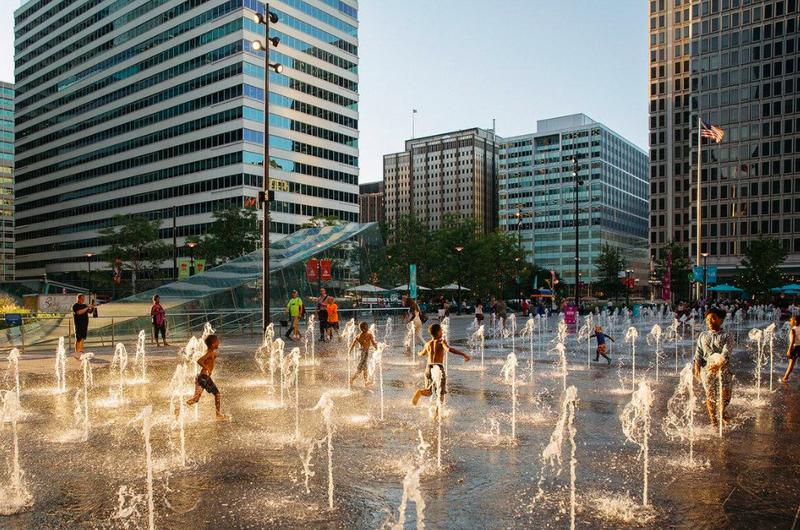 Taking a stroll through Dilworth Park, located next to Philadelphia’s City Hall on its’ West Side is an escape for those looking to get away from the hectic manner of the city. Dilworth Park features an interactive garden, green space and seating areas to sit and enjoy a coffee. I suggest visiting a local cafe such as Joe’s or even Wawa. During the summer, the interactive fountain opens that spouts water illuminated by neon colored lights. 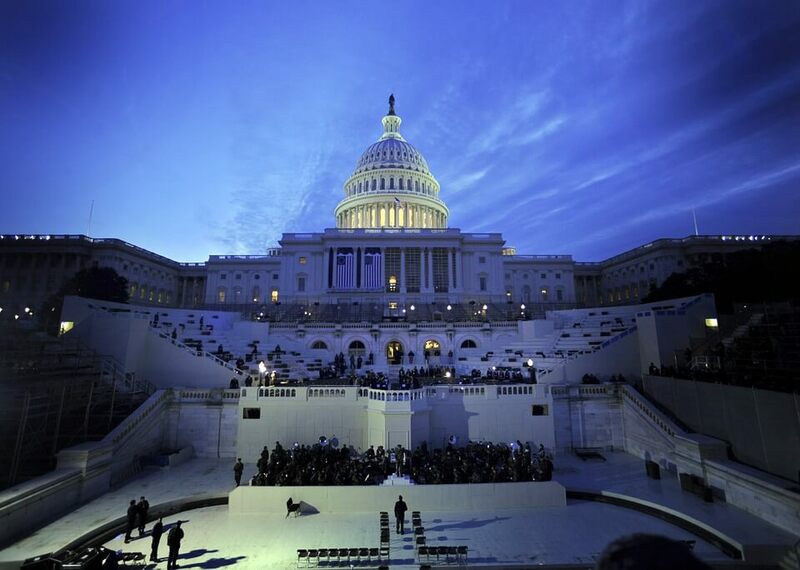 That’s a sight people of all ages want to see. What better way to get the full Philadelphia experience than catching a train from City Hall to any destination at any time of day. The two subway lines in the city, the Market Frankford Line and the Broad Street Line, run right below City Hall. This makes it easy for anyone and everyone to easily hop on and spontaneously travel to different destinations. I suggest riding to one of the sports complexes at the Southern tip of Philadelphia and North Philadelphia. If you’re feeling adventurous, take the trolley into West Philadelphia. There is nothing like participating in a waterfront yoga class along the Delaware River, regardless of your athletic abilities. Grab a yoga mat and prepare for relaxation participating in one of Race Street Pier’s free yoga classes. This is one of many opportunities to observe the beautiful views Philadelphia has to offer. After one yoga session, you’ll refuse to do yoga anywhere else. The brunch craze has spread across the nation but Philadelphia’s brunch joints remain one of the most scrumptious brunch spots in the US. The delicious and noteworthy Green Eggs Café never disappoints and leaves visitors full, yet wanting more. With four locations in the city, a Green Eggs Cafe location is sure to be near wherever your day takes you. 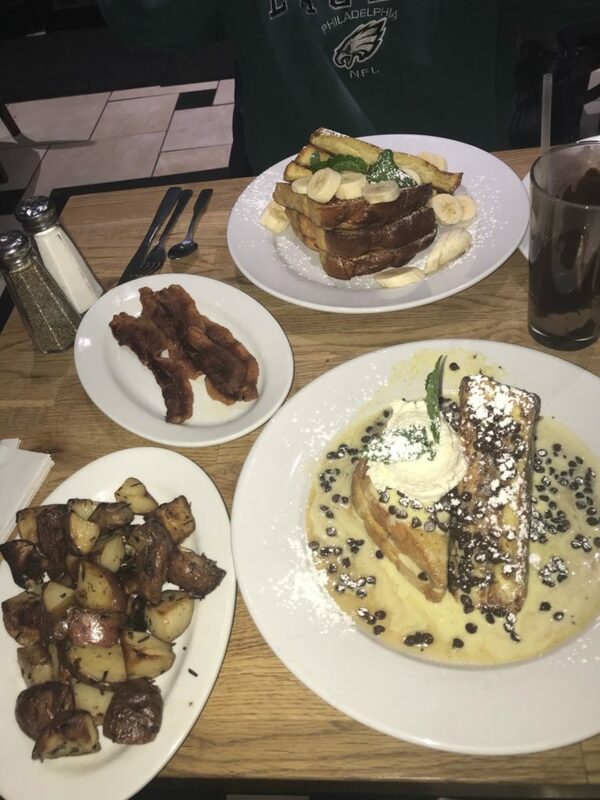 Dig into one of their most popular dishes like the sweet Cookie Dough Stuffed French Toast, the savory Kitchen Sink Skillet and the hardy Breakfast Burrito. Whether you do it for the gram or for a plate full of syrup, Green Eggs Cafe will surely not disappoint. 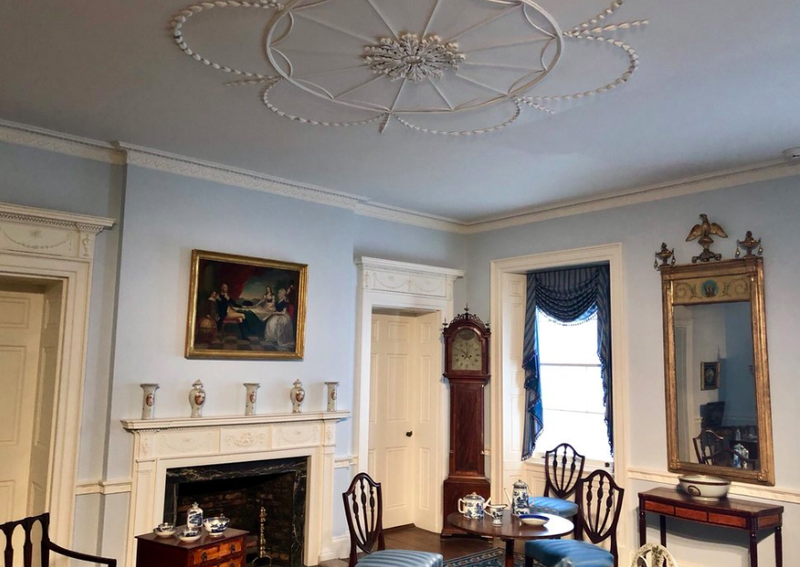 If you have even the slightest interest in history, there is no better way to harness that interest than to explore the sites of Old City, Philadelphia. 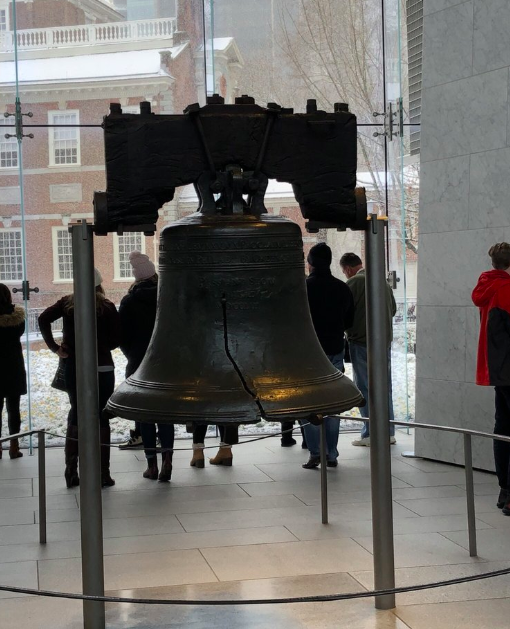 With historically famous sites such as Independence Hall, the Liberty Bell, the Betsy Ross House, the National Constitution Center, the National Museum of Jewish History and the Museum of the American Revolution, there is no better way to learn about the history of our nation. If you don’t feel like just browsing, schedule a guided tour around Old City to learn the ins and out of history. My personal favorite is the Betsy Ross House tour. 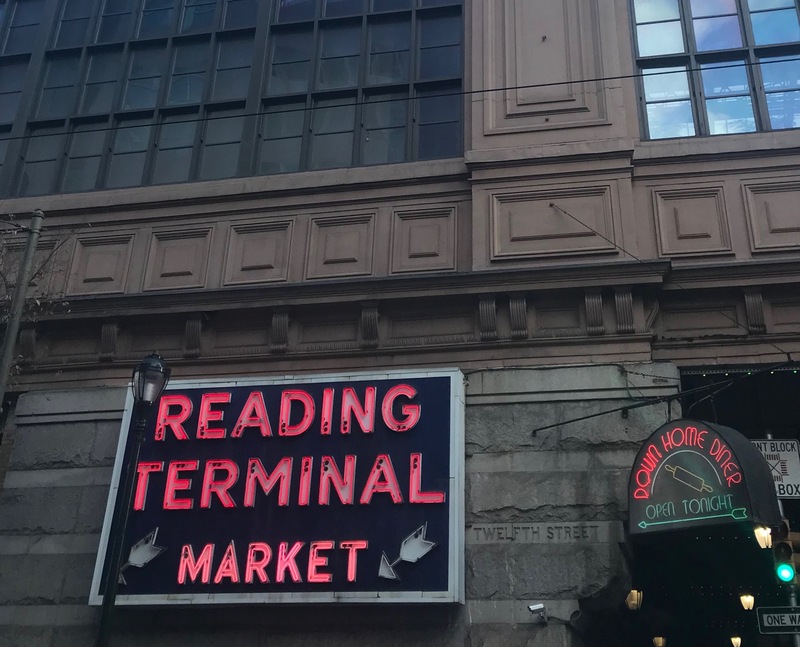 The array of locally grown and exotic delicacies offered at Reading Terminal Market, one of America’s largest and oldest public markets, cannot be beat. With Asian and Eastern Europe cuisines, this market serves as one of the top tourist attractions in all of Philadelphia. Housed since 1893 in a National Historic Landmark building, Reading Terminal Market has an old fashioned feel and gives off a comfortable, diverse atmosphere. “There is a variety of freshly made food and quality of every vendor is superb. My favorite is Peking Duck and their duck rolls,” said Drexel University sophomore Benjamin Shapiro. You can find anything and everything in the market, including memorable meals, household supplies, plants and more. Being a short walk from Philadelphia’s City Hall, the market’s location makes it the perfect spot to grab a quick lunch. 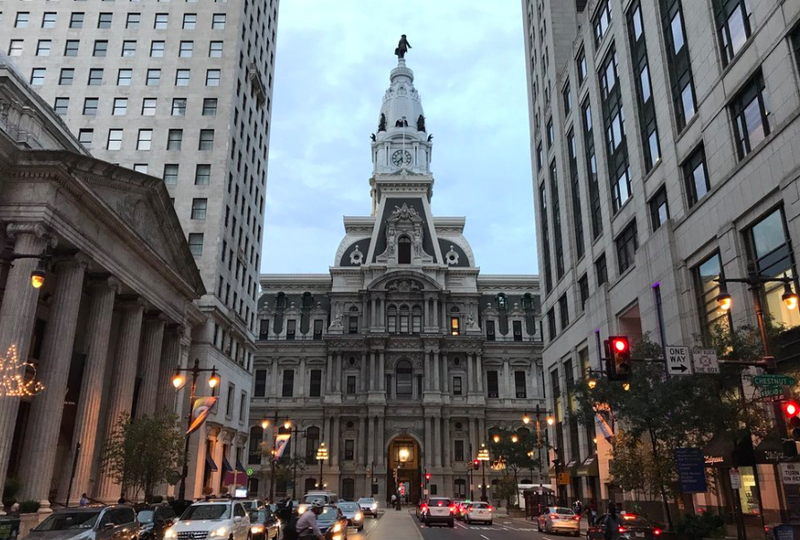 Many people know that Philadelphia ranks as one of the largest cities in the United States, but many are unaware of the fact that it also ranks as one of the most artistic cities. Philadelphia’s murals serve the city with their beautiful art galleries. A few of the most famous murals in Philadelphia are Common Threads and Independence Starts Here. Both public and private tours offered based on the time of year help enrich visitor’s experiences. These city tours may be self-guided, on bicycle or on foot. No matter what kind of art you like, or if you even like art at all, mural tours definitely are a destination for all. 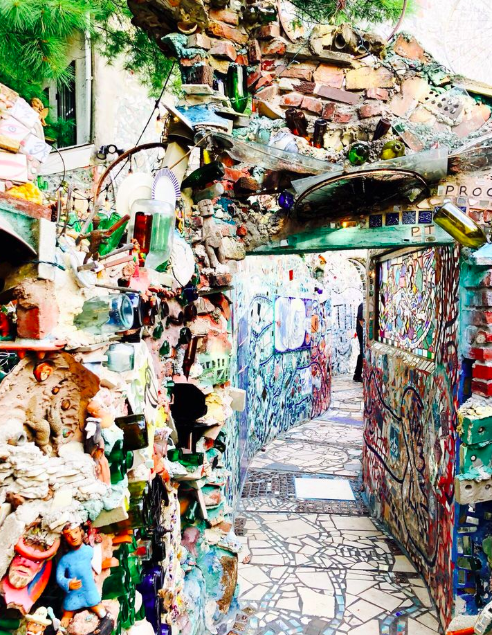 Philadelphia’s Magic Gardens has a special, almost magical atmosphere, as the name suggests. This fascinating and Instagram-worthy site provides access to work done by the famous historical artist, Isaiah Zagar. His work leaves endless room for interpretation, portraying collages of glass in different designs around the gardens. College students and millennials in general can’t resist taking an artsy photo at the gardens. The gardens inspire creativity and brings tourists and residents together to observe its beauty. The old, preserved art is what makes Philadelphia, Philadelphia. Are you looking for adventure? Head to South Street, one of Philadelphia’s most famous streets, which features thrift shops, tattoo parlors and unique eateries. This one street brings together different cultures and ideas that thrive within the city. “South Street has shops of many types that provide insight on the culture of Philadelphia by showing the variety of food that the city has to offer,” said Temple University freshman, Alex Frischmann. “From cheesesteak restaurants to thrift shops, there’s a big checklist of things one could do on South Street.” Known for being edgy and hipster, South Street attracts those who want to make a statement. The shops embody the spirit of the area, especially thrift shops including Philly AIDS Thrift, Heres2CoolStuff and Sophisticated Seconds. For those looking for something cheap and edgy, head to South Street for some afternoon shopping. 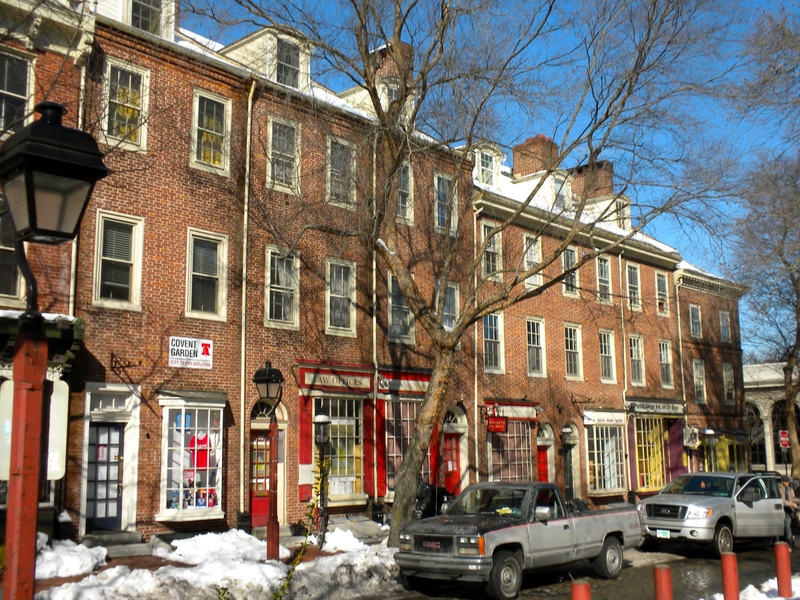 Get ready to shop until you drop at Rittenhouse Row. Representing more than 200 businesses, Rittenhouse Row serves as a place for shopping and eating and insane amounts of food. 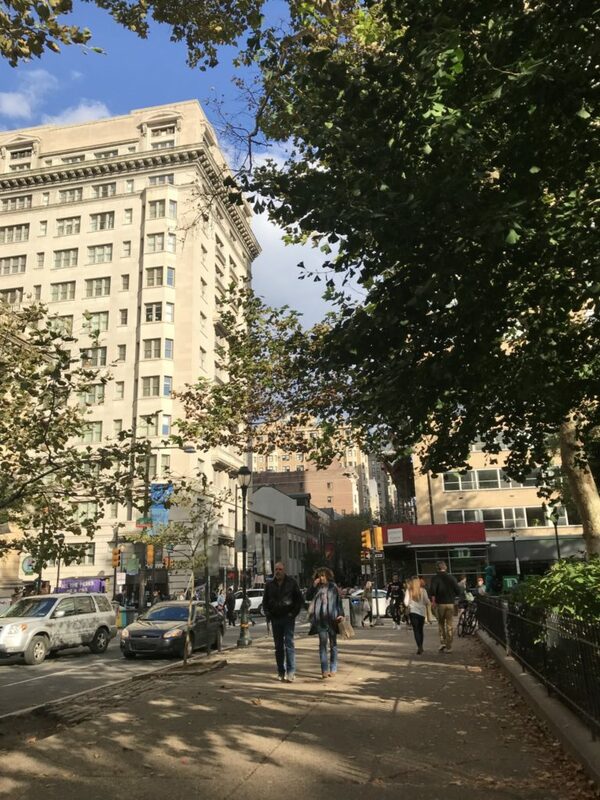 With locally owned boutiques, national retailers, restaurants, spas and more, Rittenhouse Row has a strong voice in the community. The variety of shops never fail to please those looking to get their daily dose of shopping in. I hope your wallets are prepared for all of the possible damage that could be done at the shops at Rittenhouse Row. What better way to spend an evening in the city than gazing and admiring some of the most beautiful artwork that are exclusive to the City of Brotherly Love, The Philadelphia Museum of Art, a landmark building, serves as home to many famous pieces of art. They include The Bride Stripped Bare By Her Bachelors by Marchel Duchamps and Poplars by Claude Monet. The museum does a great job of displaying artwork to guests and immersing them in the beauty. College students most often visit the museum on pay-as-you wish days. These days allow visitors to pay any amount of money they want as a donation to the museum. This makes the well-known museum affordable for all those who appreciate art. 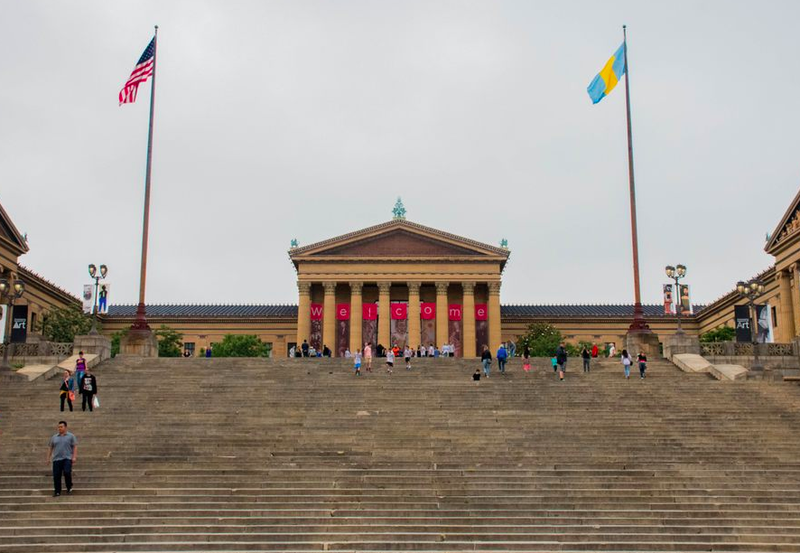 When thinking of the City of Philadelphia, for most people, the Rocky Statue and the Rocky Steps come to mind. After all, the Rocky Statue and the Rocky Steps, are the most popular, and well known tourist attractions of Philadelphia. The Rocky Statue sits at the bottom of the stairs of the Philadelphia Museum of Art. After seeing this, people proceed to run up the grand stairway to see the two-arms–raised statue. The sculpture, was created for a scene in the movie, Rocky III, which was filmed in Philly. Visiting this statue and capturing a picture while hustling up the steps should be at the top of everybody’s to-do lists. 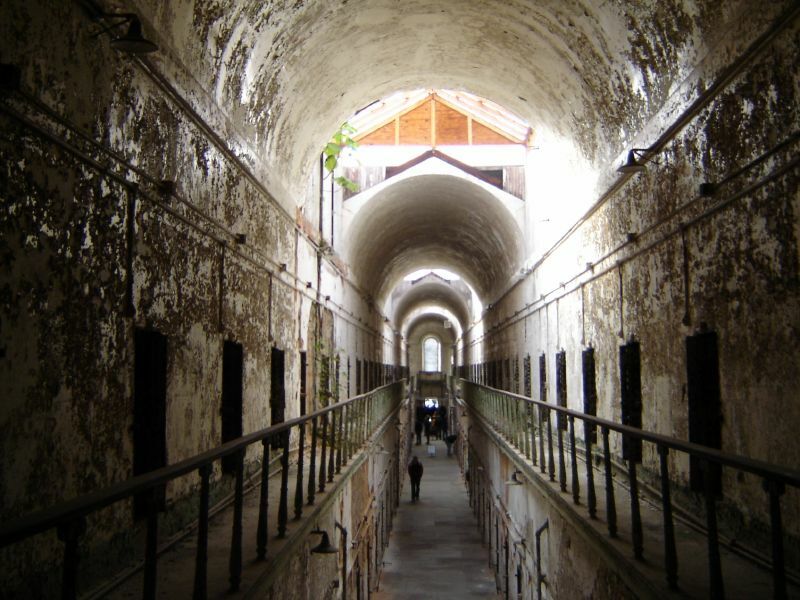 The Eastern State Penitentiary, an infamous closed-off prison known for imprisoning criminals such as Al Capone and Willie Sutton, will surely spook anybody from the moment they arrive. It closed in 1971 but has been preserved, allowing people to tour this penitentiary. Rumor has it that prisoners who died within the facility haunt the prison. During Halloween time and the autumn season, you can check out the Terror Behind the Walls, an exhibit which brings the history of the penitentiary alive by haunting guests and spooking visitors, all in good Halloween spirit. One of my personal favorites, Chinatown. This section of the city offers pho, dumplings, Korean BBQ, Chinese and delicious Japanese cuisine. After chowing down whatever you choose, snap some photos under the friendship Arch located on Arch and 10th Streets. I recommend the soup dumplings from Dim Sum Garden on Race Street or sushi from Bubblefish on Arch Street. During the Chinese New Year, typically celebrated in February, a spectacular cultural parade occurs where people watch the Philadelphia Lions Dance performance. Philly also has a lantern festival in April. 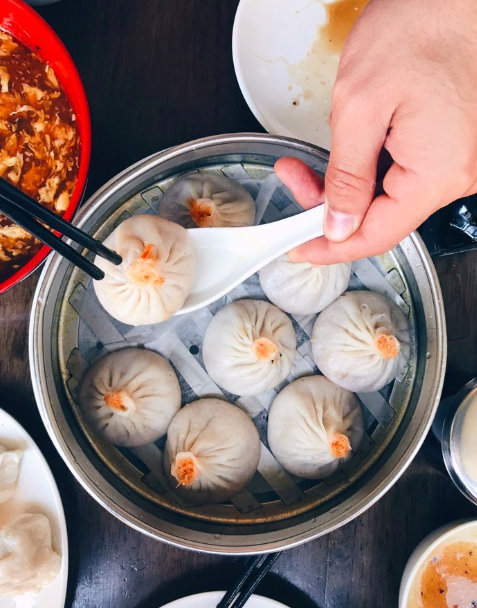 If you want to taste a dumpling that will change your life, head to Chinatown. Around 9 P.M., everybody craves a treat to satisfy their sweet tooth. The Franklin in Old City will surely cure your tasty needs. Its’ restored soda counter gives the shop a traditional atmosphere while they serve handmade ice cream, root beer floats, egg creams and milkshakes. 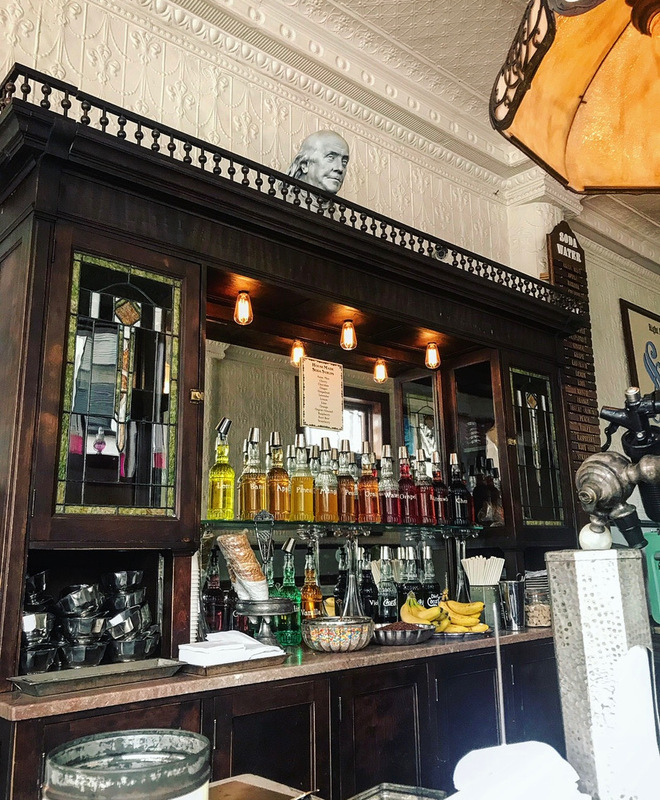 Founded in 2004 by the Berely Brothers, The Franklin Fountain serves iconic flavors like green tea, banana and my personal favorite, teaberry gum. Cure your cravings for sweets and give The Franklin Fountain a try, you will not regret it. Whether you are looking for a musical or cultural night out, Penns Landing is the place for you. 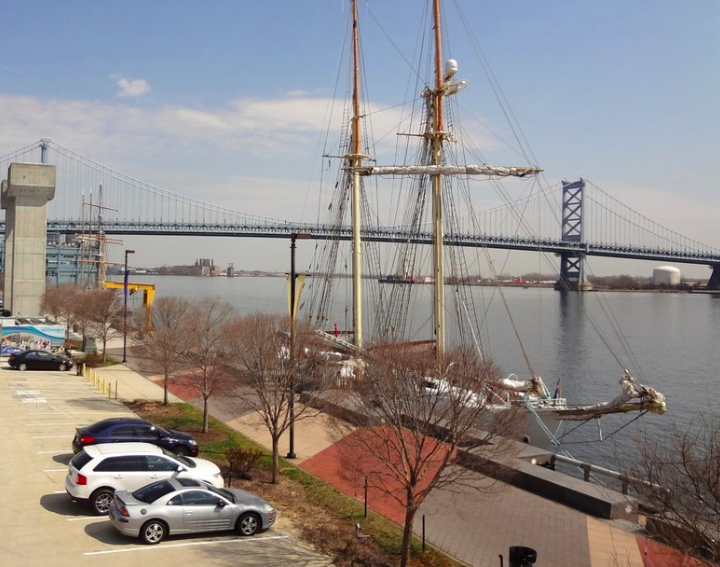 Named after William Penn and his discovery of Philadelphia in 1682, Penn’s Landing hosts various events including conventions, yoga classes, art classes and seasonal carnivals. 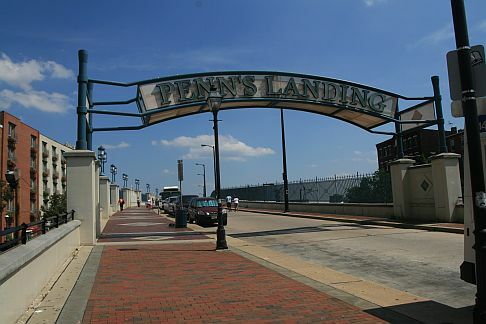 Penn’s Landing hosts many concerts throughout the year such as the Made in America Music Festival. This three day long music festival features today’s hottest music artists. College students love this summer festival because of the unique artists and various genres of music. Visit Philly during labor day weekend for a music festival worth checking out. 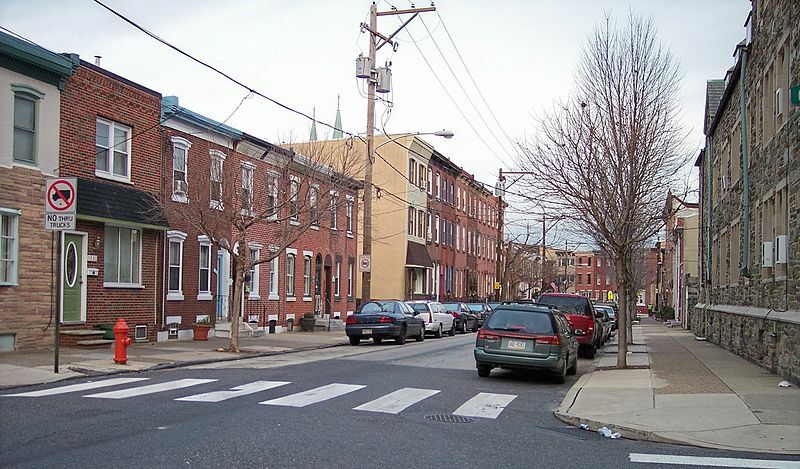 Fishtown remains a popular creative hub for the hungry college students and adolescents of Philadelphia. The famous working class neighborhood gets its’ name from historic involvement in the fishing industry. Located North of Girard Avenue and near the Delaware River, the area attracts young people with an array of bars and eateries such as Murph’s Bar, R&D, and Loco Pez.. “My favorite place to go is Loco Pez,” said Temple University junior Solmaria Valerio. “They have the best vegan soy chorizo I’ve ever tried. You literally cannot get anything like it anywhere else.” With its’ affordable food and drink offerings, Fishtown creates the ideal neighborhood for college students to spend an evening out. Wandering around Rittenhouse Square, especially during the wee hours of the night is sure to help complete any given day in Philadelphia. One of the five original squares planned by city planner William Penn is Rittenhouse Square, the Center City’s most exclusive neighborhood. It displays upscale restaurants and shops surrounding a family-friendly park. 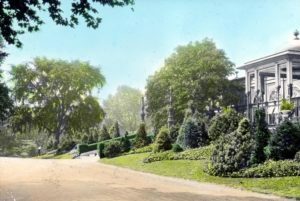 The park shows off trees, fountains, classical urns and a central plaza to bring the greenery together. The park a living oasis within a big city. Visitors can paint, sunbathe, do homework and wander around the park in the wee hours of the night within Rittenhouse Square. 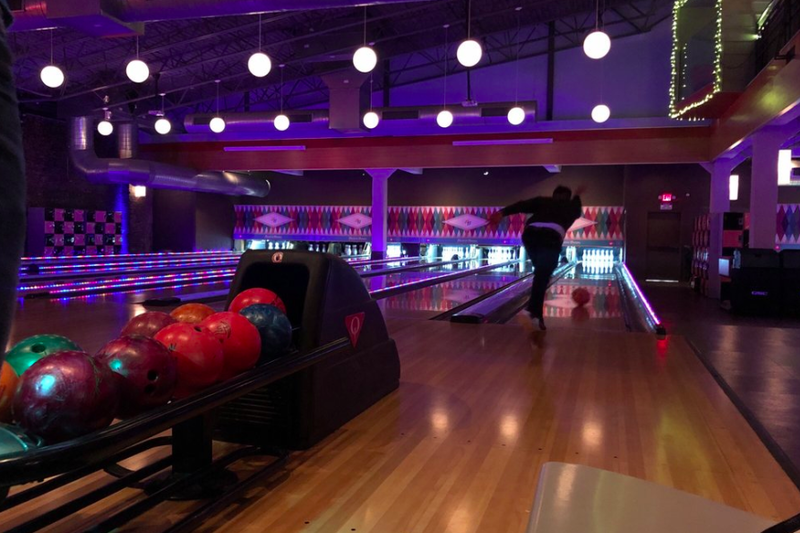 Contrary to popular belief, North Bowl in Northern Liberties has not only bowling, but different outlets to keep visitors busy. They have arcade games and great food options to complete any night on the town. With programs such as happy hour bowling on weeknights, this fun and affordable bowling bar reigns a popular nighttime destination for college students. Are you ready for some fun music and dancing? Dancing the night away at Coda is a pastime among Rittenhouse Square visitors. 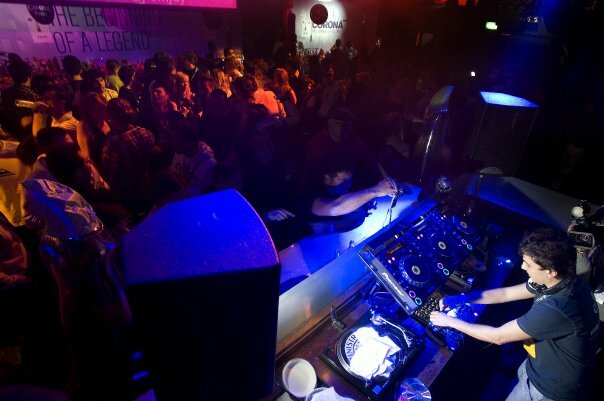 With musical performances from some of the newest and most talented artists such as The Disco Biscuits, it never fails to give visitors the time of their life. Music genres span from indie rock to pop to electronic dance music. Coda is by far the hottest place to spend a Friday or Saturday night in Center City with your friends and make your night one to remember, or not remember. 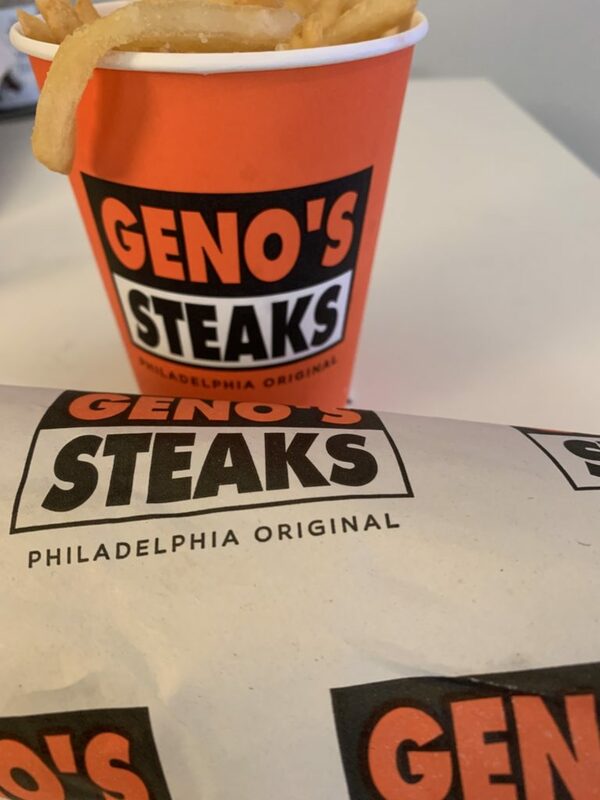 You cannot live in, or visit the City of Brotherly Love without eventually devouring a savory cheesesteak. With the famous Pat’s and Geno’s restaurant located in South Philly, nobody can resist a fresh cheesesteak. It helps that both joints are open 24 hours. Ordering a cheesesteak with wiz and onions is bound to make all of your food dreams come true and satisfy your late night hunger. 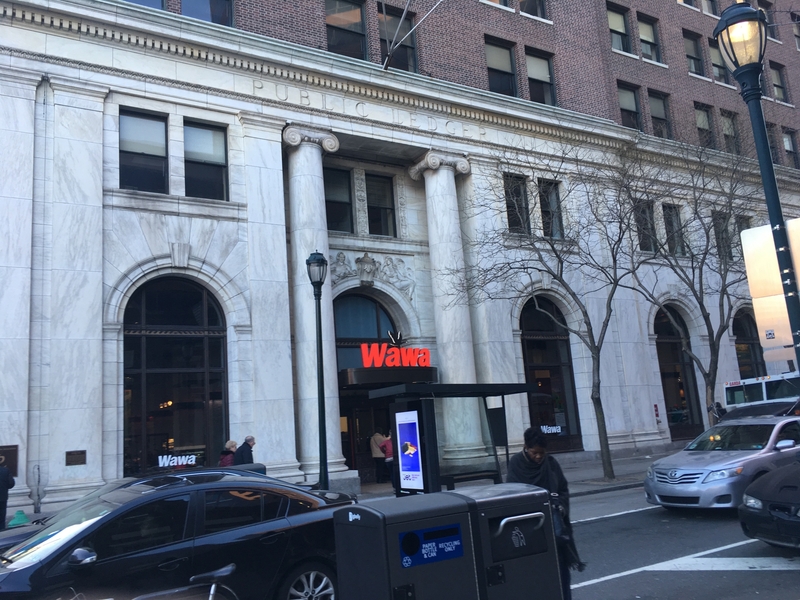 Wawa, a fan favorite convenience store, can be found across Philadelphia and within its suburbs. You will be sure to find the perfect late night snack and the best gas station food you could hope for. Personally, I can never get enough of their mac and cheese. Despite the Sheetz vs Wawa debate across the state of Pennsylvania, all Philadelphians know that Wawa reigns the best of the best. This is simply because of its’ supreme food choices and incredibly affordable prices. A quick trip to Wawa is a must while visiting. Finally, what better way to relax before the sun rises than to walk through Society Hill. Society Hill is mainly a residential neighborhood, but it does offer greenery, including hills and walkways. Historic attractions include the Free Library of Philadelphia, the First Bank Of The US and Carpenters Hall. These destinations will give you your daily fill of history in the City of Brotherly Love.